It’s early morning, and you’re just getting ready for work. You take your morning coffee in perfect silence, watching gentle rays of sun flutter in through the barely open blinds. It’s cool, and there’s a light layer of frost on the grass, but you aren’t cold. What a perfect morning! Truly, this is the best possible beginning to the rest of your life from this point out. You slip into the driver’s seat to start your vehicle… only to find out that your car won’t start. Wow. What a way to top off an otherwise glorious start to your day! Unfortunately, this is a familiar scene to a large number of people. It seems like your car never acts up until the worst possible moment, right? I think we call that “Murphy’s Law”. Y’know, the idea that whatever can go wrong will go wrong. Luckily you read the Motorful blog. This means that you have front row access to the latest and greatest information around. We’re here to serve up a hot plate of knowledge so that whatever happens you’ll be ready. 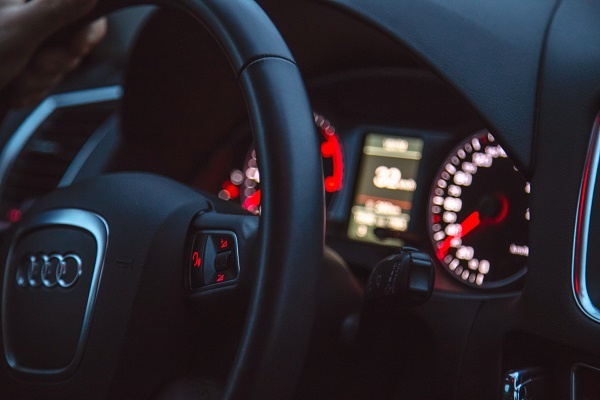 Today we’re going to explore the different reasons your car may not be starting, and how to go about remedying the situation. A car that won’t start can be a scary thing to behold. There is nothing more frightening than the realization that you’re stranded. After all, these things rarely happen in a convenient place. Maybe you’re out running errands, or you’re traveling to see family. Whatever the case it is always a chilling feeling to realize that your engine isn’t responding. You need to figure out your next move- and fast. The earlier scenario is definitely the best one, but we want you to be ready in any situation that comes your way. So, keep reading to find out more about this problem and, more importantly, how to go about fixing it. First of all, don’t panic. Your car not starting might not be the end of the world. Unless you’ve been putting off repairs and you’re panicking because of that, of course. You’ll probably have a good idea before you begin of whether or not it’s a quick fix or you’re in for a tough time. That being said, there really are so many simple cases, with simple fixes. It would be silly to jump to conclusions! We’re going to explore a few of these more casual causes before we jump to the more concerning signs. You must have known this would make it on our list! Leaving on a light, whether it’s a dome light or your headlights, can spell disaster. Everybody knows this, but it’s rather simple to do. 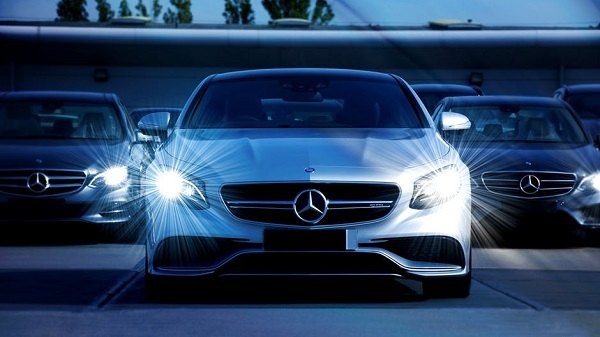 That’s why new cars come with lights that automatically turn on and off. Essentially what happens is that the battery is supplying energy to your car, but that stockpile of energy is not being replenished. This means when you go to turn your car on it won’t start. This is easily the most common, and simplest to fix, of all the problems. You’re going to want to check a couple of things before you start. First, check to make sure that the battery isn’t dirty, and that all the connections are secure. Once you’ve ruled out both of those issues it’s time to get down to business… and find somebody to jumpstart your car. This can be easier said than done, but most people are willing to lend a hand if you have car trouble. It’s that common thread of decency that keeps all of us connected! This is also why you should always carry jumper cables with you. There is another solution that puts you back in the driver’s seat that much quicker, too. Portable car battery chargers are essential to anybody who owns a car. Meaning, you! With one of those bad boys, you can easily have your car back on in no time. It also skips the entire process of being a sitting duck and waiting for a friend, or hoping a stranger notices and takes pity on you. Regardless of the method you choose, this is the best case scenario. Remember how we told you to check your battery for grime build-up? We’re going to explore that topic a little bit more. 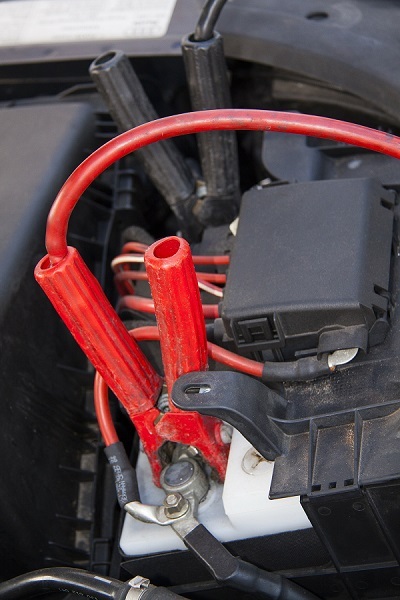 As it turns out the cable that connects the battery to the starter is the thickest cable in the electrical system of your car. This cable carries the most current, as well. It’s because of this that it’s so susceptible to corrosion. If this cable becomes compromised in any way you’ll have a pretty tough time getting your car to start! Still, it’s not time to panic yet. After all, this is on our “simple fix” list! That means you’ll be able to get your wheels spinning again in a snap! If you’re prepared (and with all of our guides, there’s no reason not to be!) then you have a toolkit on you. In this toolkit, you should find a wire brush. Hint: Notice how we say “should”. If this doesn’t apply to you, then go out and get that kit, and a wire brush. It’s a small purchase compared to the time you’ll waste sitting around otherwise. When you can fix it yourself, you should! Remove each end of the starter cable. One is, of course, attached to the battery. The other is, naturally, attached to the starter. Take your wire brush and give the connections a hardy scrubbing. Get it squeaky clean, and reconnect! Don’t forget to clean the battery posts, too, for good measure. The above can also be true for your grounding cables! A poor connection can be the root of your car starting woes. Use the above method on your grounding cables if the starter cable doesn’t seem loose or overly corroded. Starters are another common origin of start-up problems. This is probably pretty self-evident because of the name itself! 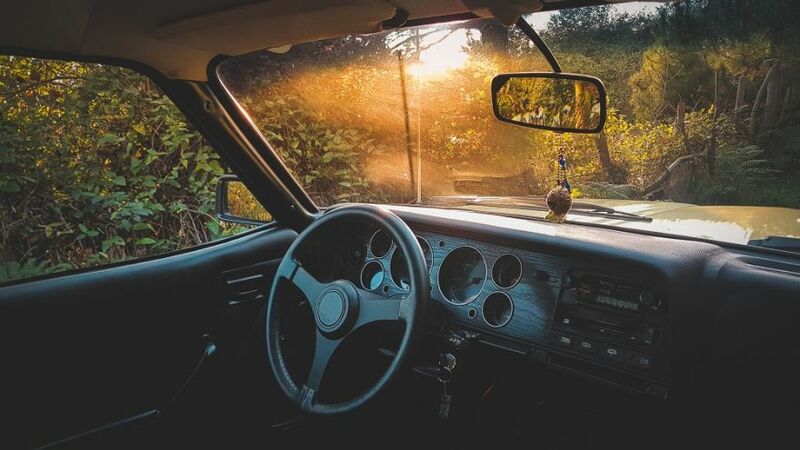 If you notice that your car is taking longer to start, it’s not turning over, or it’ll start but only after a couple tries, it’s probably the starter. You need to get it replaced, but you do have a little time to work with. Don’t let it go for too long, however, or you risk getting really stranded and that fix isn’t as simple as charging a dead battery! Letting your starter completely wear out is absolutely something to avoid. So, while it isn’t right-this-minute urgent, you’re going to want to make an appointment with your mechanic as soon as you can. New cars are fantastic, sleek visions of the future. It’s amazing what they manage to come out with every year. Some of these handy features made for convenience, however, can provide the opposite. Some steering wheels come with an anti-theft feature which locks the wheel in place. This means that if the wheel pushes against the pawl it will keep the car from starting. When you remove your key this locking system can ensure that your car won’t move without that specific key, which is great! But it isn’t so great when you’re the apparent thief it’s trying to keep out. Try giving the wheel a little shove to the left, and see if you can get it working. 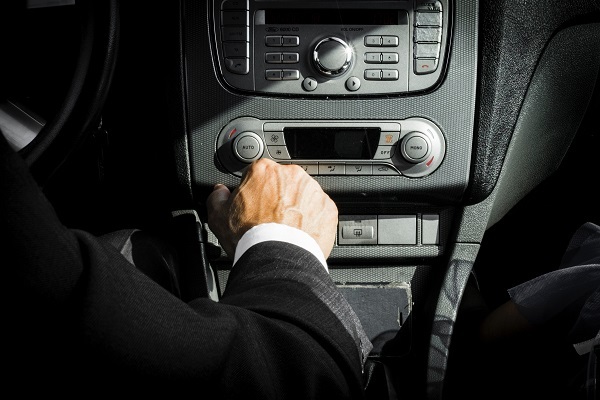 Another weird tip that can work is checking the security system of your vehicle. If you’ve had a new key made for your vehicle it might be at fault! 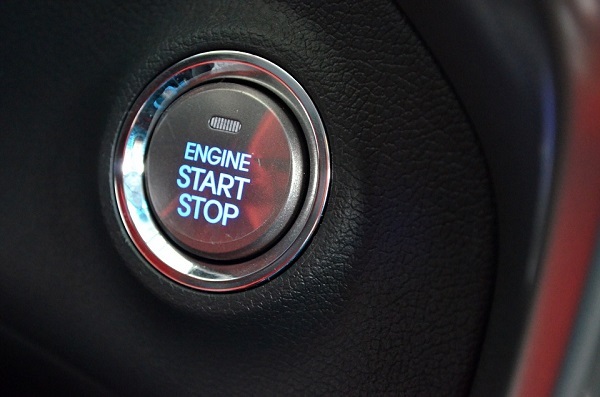 In new cars, the car must be started by the correct key. If the key has not been programmed correctly it will not start your car. This can be an incredibly distressing situation since most people think that there must be something very wrong. When you check absolutely everything and it all checks out, you may think that the problem must be beyond you. It’s these dumb, little tidbits of knowledge that we hope will carry you through these situations and save you a buck or two! So, you’ve tried all the tricks above, but you’re still coming up with empty hands? Time to get a little more technical, then. Unfortunately, it’s probably going to be a deeper rooted problem that only an experienced technician can fix. Note that this isn’t always the case. There are some other silly things (no gas, remote starter woes, etc.) can be at fault. From here out we forget these little problems and move on to the more worrying points of fault. The purpose of fuel injectors is pretty simple. They supply the engine with gasoline so that the combustion process, which powers the car, can happen. These injectors can be prone to breaking or cracking if they are not replaced in a timely manner. The general rule is every 100,000 miles. That’s a pretty long time! It’s because of this that you may just forget about them at all, especially if you aren’t a technical person yourself. If your fuel injectors need to be replaced, you need to see a professional. This is a job that can only be done by somebody with the right tools, the right knowledge, and the right experience. As a general rule if your car is turning over but not starting there is a bigger problem at play. Once you’ve covered all of the bases you should have an answer… and if not, it’s time to bring in the big guns. You can rest assured that your mechanic will find whatever the cause is, no matter how complicated. You’ll need an official diagnosis, and probably some specific tools, to get to the bottom of this problem. Unfortunately, this is really the end of the line, which is why we’ve topped off this list with such a general, sweeping issue. Once you’ve worked your way to this point it becomes time to throw in the towel. It’s a soft, gorgeous morning. The air smells like a promise, and you can feel the heat of the sun already. Perhaps you’re sipping coffee on your porch and enjoying the moment. Or, you’re sitting inside, lounging leisurely in the calm, still twilight before your commute. Once you’ve soaked in the serenity you need to get through your day you make your way outside. You get in your car. You slide the key into place. Your car just won’t start. Sound familiar? It’s the same scene we began this article with. However, there is a big difference between the past you, and the present you. And what exactly is that difference? You know how to go about troubleshooting, which will help you find a solution. Even if you can’t, you’ll at least have a better idea of what might be going on. Being able to intelligently and confidently talk to your mechanic makes a world of a difference. Not only does it move the process along a little quicker, but it also shows your technician that you know what you’re talking about. This event which was day ruining just a few paragraphs ago now becomes much less of a worry. Without worry or haste, you pull out your phone and click your way over to Motorful! And, boom! Your problem is probably solved. At the very least, you’ll be able to tell the difference between a little issue and a large one. Hey, maybe you’ll even go read some of our other blogs and figure out how to fix even the more intricate complications! No matter what you choose to do know that we’re here with you every step of the way, with every automotive problem you run into. We want you to be ready in any situation. Read our articles and you will be. Auto Guide – Why Won’t My Car Start?